Well it seems he never bothered to read document offering the perpetual securities to the public. Pg 37 of the perpetual securities issue document had this warning (Emphasis mine) which the investors ignored. • be able to evaluate (either alone or with the help of a financial adviser) possible scenarios for economic and other factors that may affect its investment and its ability to bear the applicable risks. The Securities are complex financial instruments. Sophisticated institutional investors generally do not purchase complex financial instruments as stand-alone investments. They purchase complex financial instruments as a way to reduce risk or enhance yield with an understood, measured, appropriate addition of risk to their overall portfolios. A potential investor should not invest in the Securities which are complex financial instruments unless it has the expertise (either alone or with the help of a financial adviser) to evaluate how the Securities will perform under changing conditions, the resulting effects on the value of such Securities and the impact this investment will have on the potential investor’s overall investment portfolio. This Offer Information Statement and the Product Highlights Sheet are not and do not purport to be investment advice. Investors should conduct such independent investigation and analysis regarding the Securities as they deem appropriate. Investors should also consult their own legal, tax, accounting, financial and other professional advisers to assist them in determining the suitability of the Securities for them as an investment. Investors should make an investment only after they have determined that such investment is suitable for their financial investment objectives. Investors should consider carefully whether the Securities are suitable for them in light of their experience, objectives, financial position and other relevant circumstances. « Singaporean workers are being shortchanged. Mr Tan KL said how all these retail investors suffered especially the older investors. 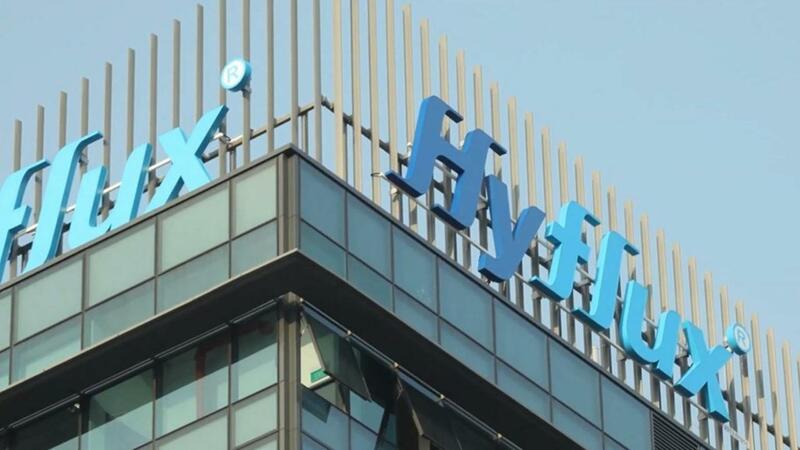 The older investors , unless Hyflux is their first time investing minus singtel shares during 90s, they are the ones that having the good times all along. Since they born earlier, they are able to start playing shares in the late 70s and 80 until 97. Thats when all the sg blue chips started listing e.g. SIA , OCBC, OUB , …whether they get lucky during IPOs or from the market. Not forgetting theres also Malaysia stock market at that time both side also can play. Some of the Malaysia blue chips also listed during that similar time. Profit from both sides. And HDB were cheap during that period also. Now lost S11, kpkb. I believe many of their bank / cpf still have balance ( although drop by a substantial but within next 2 to 3 years makan no problem ) and due to the agony plus anger they may have in a moment of weakness resort to act blur act pathetic to gain sympathize support. “Weasel” any way they can to get back their S11 or an amount as much as possible. Let Hyflux 34K attend HLP instead of just 400? Why bother when 33600 retailers did not bother? You see the PINK DOT. Rain or shine,they go to HLP to fight full force? I am tempted to agree with you. The 30k cannot even be bothered, why should anyone else. Besides, any reasonable and sane person should know that all investments come with risks. And to comfort own failures by claiming that because Temasick invested sure make money one is the most stupidest of lamest excuses I have heard. Since when has Temasick profit from a genuine investment (non-garment-related business, i.e. laylongs like Airport and POSB excluded)??? I think i am quite sure that many of the 70% bought into Hyflux “risk-free” product. While i do not agree that anyone should be subjected to become white-collar crimes’ victims, i see no innocence of what they are losing today. One phrase has always guide my investing principle: You can’t cheat an honest man! YOU EITHER LIVES IN A DIFFERENT TIME PERIOD from me or you are not in the casino game of investing. IPOs like NOL and Singtel on debut were deadshit losers except for those who got allotment for small quantity in the IPO application. $50, UOB $45 and OUB was around $32 level. From these stratospheric heights, the bank shares fell back to earth. PGs and MGs Ah Sengs all got incinerated. Bad Boy: Mr Tan KL said how all these retail investors suffered especially the older investors. Most of those who suffered big losses are from the 70% — those who lost $100K, $200K, $300K. 1. Those who had so much money to throw into a single stock are probably those that did well in life / jobs / career; thus they are most likely to support the status quo i.e. PAP. 2. They had blind faith in anything even remotely connected to PAPies. E.g. Temasek used to own shares in Hyflux, Olivia being photographed & videoed together with LHL, both LKY & LHL praising her & the company etc. Let this be a lesson for them. Now they know You Die Your Biz. Especially when you no longer have any use to PAPies. 34K or 50K is just a small drop of voters. 1 year’s supply of new citizens can make up for them. Not to mention 5 X years of new citizens (2015-2019).